My company does awesome stuff. There’s a good chance you need us. Would you be free to speak Monday morning? Before coming to Bold Digital, this was pretty much what my go-to cold outreach looked like. If your first touch sales emails look something like this (even if it’s the beginning of an automated drip), we’ve got a problem. The problem is that the email I wrote out above is centered around one person: Y-O-U. Let’s break it down. Right off the bat, you’re talking about your company. This has nothing to do with the prospect. Who they are, their space in the market, their newest PR feature, their brilliance, their challenges. That’s what you should be talking about. Next, you’re a) assuming their needs, and b) exuding confidence that you’re the solution. Here you have to explain to them why you think there’s a mutual fit. Have you learned about a particular challenge of theirs? Does that challenge sit in good company with the challenges your clients faced before implementing your solution? What’s a tip you can offer that will help them today? Lastly, you’re suggesting a time that works for you. They’re interested in a call? Great! If you have HubSpot Sales or other scheduling software, this is an awesome opportunity to empower your prospects. By putting them in the driver’s seat, they can set the date/ time that works best for them. It also beats the ping pong match you’re all too familiar with, trying to find the right time over email. Bonus tip: Your sign off. Recent research has found that the top 3 response rates for sign offs included words of gratitude. A simple ‘thanks’ can go a long away. So what is inbound sales? By writing my pre-Bold email, you offer no personalization and no value or help in an area your prospect needs guidance. What you need is an inbound sales approach. With an inbound sales strategy, you can replace in your head “selling” with “helping”. By helping your prospects through supporting their dream, empathizing with their disadvantages, and offering advice and encouragement, you can build a solid relationship based off trust. Where can you get started? In the world of inbound, the #1 rule of the game is, you guessed it, personalization. This is just as true for sales as it is for marketing. Whether you’re approaching a hot, inbound lead or you’re working on your cold outreach efforts, all communication should feel personalized. But enough with the introductions. Let’s dive into the cold pool. 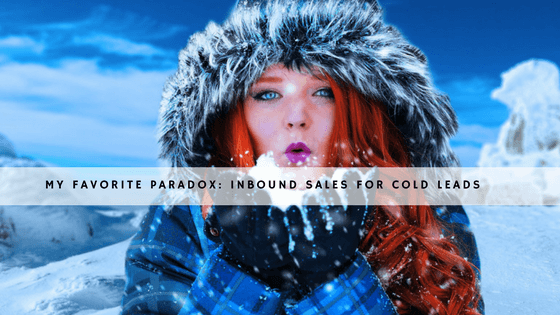 From everything we’ve talked about this far, it seems like cold emailing is the antithesis of inbound. Yes and no. Inbound leads, literally speaking, are incoming leads that come to you out of their own volition. But the truth of the matter is, as a startup still working on creating brand awareness, there’s a good chance you can’t solely rely on inbound marketing to fulfill your total goal of Sales Qualified Leads (SQLs) you want to attract/ convert on a weekly, quarterly, or yearly basis. It’s time to begin finding new leads that fit your prospect fit matrix. From there, you can begin reaching out, adding value, and positioning yourself through emails to help them understand the relevance of your solution to their pain points. So even if cold outreach is a necessity for your company, there’s still a personalized, inbound way to reach out to those who have never heard of you. It’s time to get to work. This isn’t “coming from nowhere”. Cold outreach always feels like the moment you’re in the bar, club, or really any crowded social setting where you walk across the room to someone who caught your eye. Good chance, they’ll be sceptical. Who are you? Why me among the other potential suitors in the room? What’s your motive? The more you can show you’ve done your homework as to why you think there’s a potential shot for collaboration, the more you can show them you don’t just email anyone. They’re special. Get creative. Delighting shouldn’t be reserved for customers. Figure out the best way to delight and send the best first impression to your new leads. In a recent BizDev campaign we started at Bold Digital, we send videos to cold leads to help introduce us, our 2 cents on their website, and how we suggest they can step up their marketing efforts by offering them a tour of their own website through the eyes of an inbound marketer. The results? I’ll let them speak for themselves. Our open, click, and reply rate for just the first email! 3. Follow up. Outreach should never be a one and done. What does that say about how much you’re interested if you only give it one try? If you don’t have HubSpot Sales or other sales automation that allows you to initiate a sequence of emails, set a reminder for yourself to send out follow up emails. Pro tip: be sure to leave a few days between emails, otherwise you’re spamming them. Not sure how to make one-sided conversation with a stranger? Here’s HubSpot’s 5 part outreach sequence schedule, but feel free to adjust it to meet your industry, target audience, and available resources. Remember: as opposed to selling, this lineup offers leads multiple opportunities to open, read, and click your emails, in addition to guiding and adding value throughout the buyer’s journey. 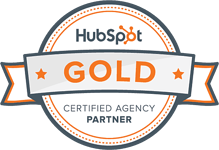 If you’re wondering how inbound sales works for...well hot inbound leads, I’m glad you stuck around. Leverage their journey. They fell into your lap because your marketing team thinks they had some digitally significant interaction with your company. What was it? Does it suggest that they were looking for help/ to learn about something in particular? Use this information in your initial outreach to open up a conversation about what they may be interested in learning more about, and how you can educate them further on the topic. Build rapport. Part of being personable can sometimes be about...getting personal. Check out the lead on LinkedIn. Do you live in the same city? Do you have mutual connections, background, or interests? While your emails should be professional, being human goes a long way in a world of impersonal automation. Get into their shoes. Remember that itch we talked about in #1 of what you think the potential problem might be? See if you can verify that problem by checking out their website, seeing what technology they’re using (try Ghostery or SimilarTech), and any other resources you think can help you paint a broader picture of their efforts. Rope that into your opening statements and watch them be floored by how much you just get them. As we jumpstart 2018, I have no doubt we’ll be seeing more and more automation for marketing and sales. While that’s sure to free up our time for creativity and help us ensure our efforts (and our prospects’ behavior) don’t fall through the cracks, automation will become less impressive and more the norm. The best way to be ahead of the curve is to be personable, add value, and show that you care. So get to know your SQLs, both hot and cold, before you reach out to them. I promise, if your outreach is personalized and continuous, they’ll be excited to get to know you too.